2011 SWDBUD Bicycle Bash is Back in Tampa Bay! Hey folks! Jerm here with an update for you on one of our awesome Tampa Bay Sports events coming up soon! The the 2011 SWDBUD Bicycle Bash, presented by Cure on Wheels is back! It&apos;s NOV 6 at Flatwoods County Park off Morris Bridge Road, four miles east of I-75 outside Tampa in Hillsborough County. 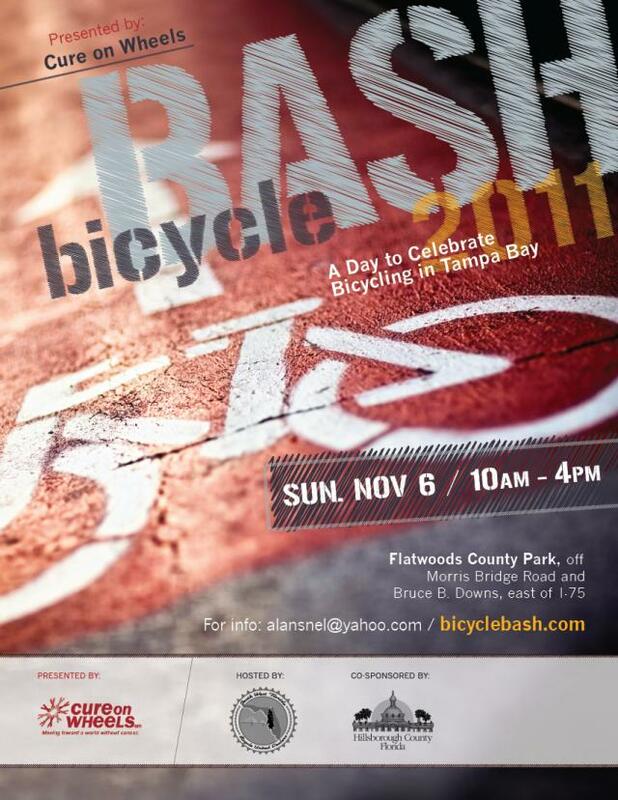 This year, the Bicycle Bash is being held against the tragic backdrop of seven bicyclists who have been killed by motorists in the Tampa Bay area since July 29. All Children&apos;s Hospital will be present to hand out and fit helmets for children and bike safety will be a theme. Reflective gear with bike safety messages will be on display and for sale. The Bicycle Bash is also playing host to the Cure on Wheels charity bike ride, which will raise money for local cancer projects at Moffitt Cancer Center and All Children? Hospital. is a co-sponsor. HART, tbt* and Polar Bottle are also sponsors.